Our senior wellness classes provide opportunities for seniors over 60 to stay fit, active, and connected to the community. 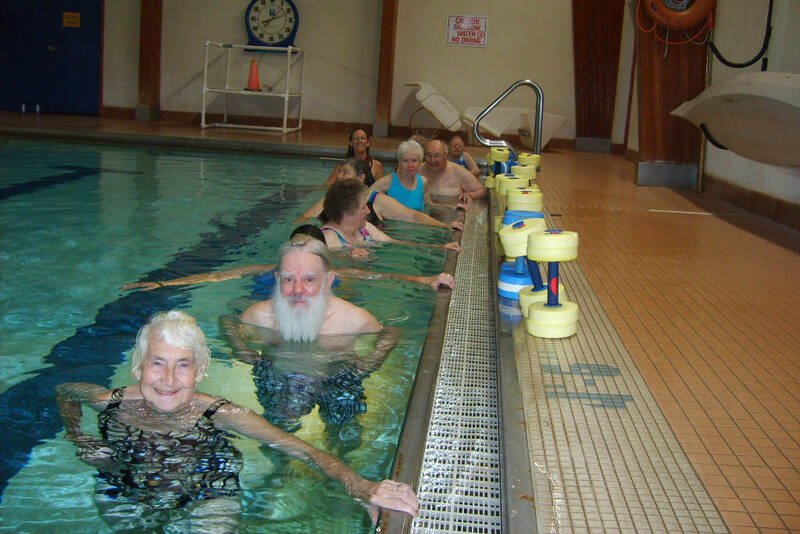 Do gentle aerobics in the pool, build strength during Silver Sneakers, or take advantage of Free Senior Fridays! Also, be sure to check out our Rec Center membership options for seniors. Enjoy a gentle, total-body workout in our saline pool during Aqua Fit. All ages, levels and abilities welcome! See our aquatics classes for more details. The Rec Center is free for seniors all day long on Fridays, including Aqua Fit and Silver Sneakers! Great for seniors who are looking to rebuild their strength, balance and coordination.